General Information Our U-8 basketball tournament which is held at the Collingdale Community Center each year will tip off from February 24 and end on March 4th. Team entry fee is $150. Point of Contact is Diane Hunter. You can download the roster form click here. With one click, you can view the tournament schedule, tournament standings, and Pee Wee History. 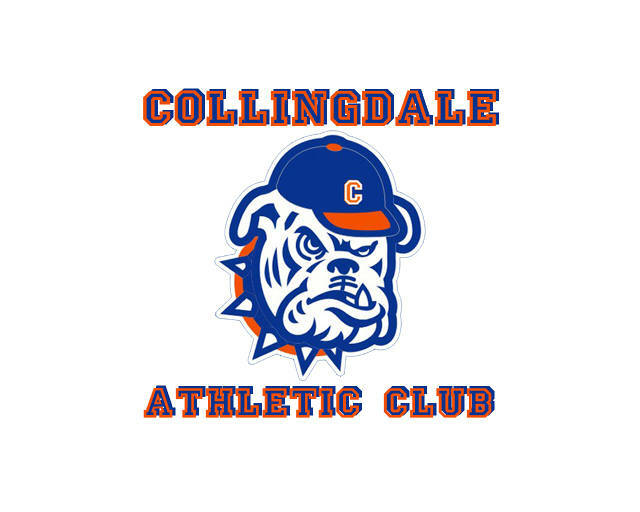 All games will be played at the Collingdale Community Center; 800 MacDade Blvd., Collingdale, Pa. Games will start on the last Saturday in February and conclude first Sunday in March. Team cost for the tournament is $150. Players can not turn 9 prior to September 1st, 2016 are eligible. Team trophies will be given to the first four place finishers and individual trophies to players on the 1ST and 2ND place teams. There will also be trophies given to an ALL TOURNAMENT TEAM selected by coach’s ballots. One of these players will be M V P of the ALL TOURNAMENT TEAM. There will be a coaches meeting on Sunday, February 18th at the Community Center 1PM. At that time please bring your team roster with birth certificates, jersey numbers and a check made out to the Collingdale Athletic Club. We will discuss rules and your team’s schedule needs. Also we need refs, please refer 1 or 2 people two games max. Consider being a part of our tourney [they will need to be at this meeting]. Call to confirm your entry and coaches name and phone number Prior to Feb 15th.